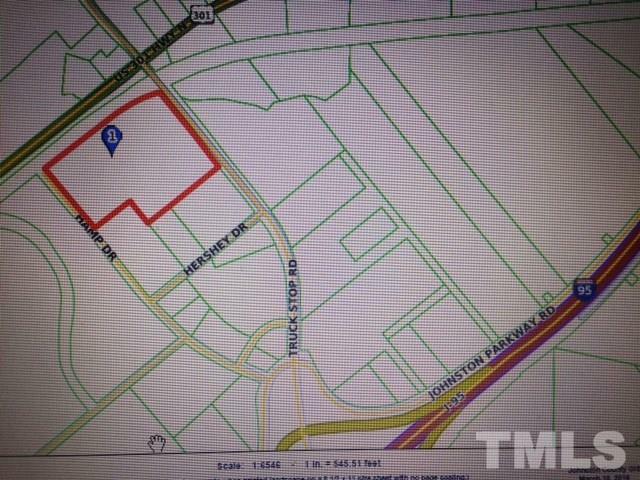 This property features dual public road frontage as it is bounded on the west by Hamp Drive and to the east by Truckstop Rd. It also has approximately 964' of frontage along the CSX railroad. This site has the potential for multiple uses from industrial to retail with proper zoning.This exit has a very high truck traffic count stopping with three major truckstops,two hotels,multiple restaurants and several large businesses. Division of property is possible.